Surveying important nineteenth- and early twentieth-century theologians, primarily in the German tradition, John Wilson provides a thorough introduction to modern theology and those whose work within it helped initiate a new era in Christian theology. 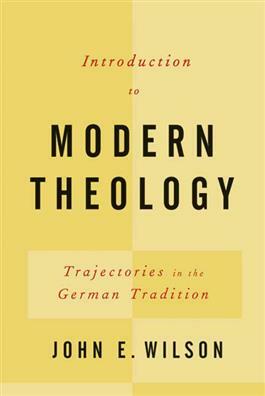 Beginning with Immanuel Kant and moving into the present time, Wilson describes the formative theological work of a number of theologians such as Friedrich Schleiermacher, Albrecht Ritschl, Karl Barth, and Emil Brunner. In doing so, he follows the trajectories of their thought to the present day, which have had profound influence on contemporary theologians such as Reinhold Niebuhr and H. Richard Niebuhr, Martin Luther King Jr., Wolfhart Pannenberg, and Karl Rahner.